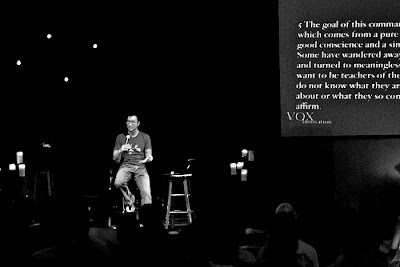 I was surprised and encouraged to see this article featuring Vox Veniae Church in Austin, TX about how they are breaking from traditional church expressions and innovating to bring the Gospel to the community. Even more interesting is that the church originally began as a church plant off of a traditional Chinese Baptist church in Austin. It’s even more interesting because I started listening to Gideon Tsang on podcast about a year ago, he’s a really good preacher, one of my favorites to hear. Vox members have now bought or are renting six homes in the predominantly black and Hispanic neighborhood, driven by a desire to share their resources by living among people who have less. Vox members hope to set up computer training classes, teach kids to build bikes and work as mentors in nearby public schools.